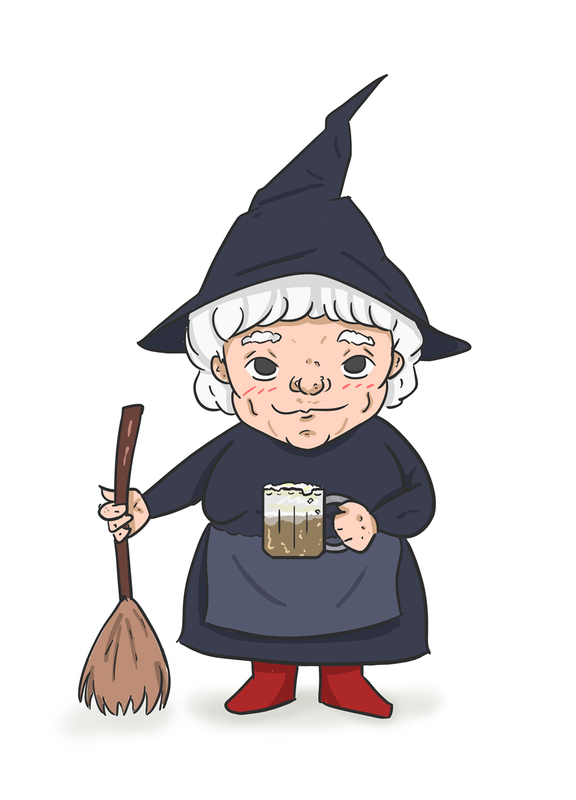 The Discworld books, by Terry Pratchett, give examples of two extremely powerful women: Esme “Granny” Weatherwax and Gytha “Nanny” Ogg. Often in the stories they are shown as friendly contrasts: Granny as isolated, commanding and powerful; then Nanny as accessible, chummy and energetic. Many are familiar with the stereotype of the lone wolf working away in isolation to attain great power and abilities. Nanny Ogg presents an excellent example to counter that idea. Gytha was married three times, has fifteen children, and often shares her bedroom and midwifery experience. She drinks constantly, is disturbingly ugly, and is very attached to her stinky cat. Her warm and happy home is filled with knick-knacks, pictures of family, and things people have “given” her (she stole them) during her travels. People flock to her for advice and are happy to follow her suggestions. Her special ability lies in being able to converse with people she has only known for a short time. Incurring her wrath is considered very dangerous. In short, few people would consider her a nun, saint, or other “pure” spiritual being. Spiritual attainment is not found in perfection, rather perfection is found in spiritual attainment. * Gytha Ogg is an example of this. Her entire life is dedicated to service as a witch and midwife. Her vast knowledge of the world and its workings is applied to helping others, not commanding them (excepting perhaps her daughters in law). She takes full responsibility for every action, even the errors, and knows that she is no more or less important than anyone else. She does all this while being warm, funny and living a colorful life. This is truly spiritual. Nanny’s example shows that following your own path can lead to Enlightenment even if you aren’t always sober along the way. *This quote is from an unpublished book and thus I am unsure about how to properly attribute it. I am grateful to the author for sharing this beautiful lesson and so many others with it. Any errors are my own.